About A full service New Braunfels real estate team. Kustom Real Estate LLC. has been in the real estate services business in the New Braunfels real estate markets for many successful years and will be here for many more. This longevity and confidence comes from our real estate services to a great many buyers and sellers, and their recommendations to others that result in repeat and referral business that keeps us productive and successful. As a full service New Braunfels real estate team , we work with buyers, sellers and investors in real estate transactions spanning all of the price ranges and property types. Investors are great clients for Kustom Real Estate LLC.. Multi–family properties are a very unique market. The detailed return on investment and valuation calculations investors need to evaluate properties for rental are second nature to us. Whether it’s a shopping mall, a small office building or a restaurant space, we’re commercial property specialists. Contact us for your commercial property needs in the New Braunfels real estate markets. Land is a very special property class. It’s relatively easy to show a gourmet cook a wonderful commercial kitchen in a home and see their eyes light up. It’s more of a challenge to help a buyer or seller to realize the potential in a piece of land. We’re the best at it in the New Braunfels real estate markets. My name is Kassi Jaroszewski. You won't recognize me from being on the cover of any magazines, newspaper features, TV commercials or any infamous YouTube videos-at least not yet. I am your average girl, living a modest life with my husband & 2 sons; not trying to make a million dollars a year, just aspiring to be the best in everything I undertake. It is my honest feeling you should know me before you entrust me with one of the largest investments of your life. I was born in South Texas, Weslaco to be exact. I was raised in more Central/South Texas. I graduated from New Braunfels High School and continued my education at Texas A&M University, where I achieved a Bachelor's of Science in Agriculture Development. While studying abroad in Vietnam, I obtained an Agronomy emphasis & learned tremendously about life, the war & 3rd world countries. After graduating from A&M, I continued my studies at the University of Houston where I became a licensed Realtor in 2003; taking classes in appraisal, finance, investing, relocation & negotiation. In 2011, I became an official Real Estate Broker. I opened the doors of my own real estate company in January of 2015 & it has been one of my finer decisions thus far. I married Barry Jaroszewski, Jr. in the spring of 2005. Together, we live on a small ranch outside of town where we operate a horse training and boarding facility, produce team ropings, raise cattle, chickens & of course our sons: Barry III, aka Tripp-short for 'triple' & Collier. Tripp & Collier are the 5th generation Jaroszewski's to roam the ranchette that we are so privileged to call home. I would not be where I am today without the love and support of my amazing family & Heavenly Father; instilling honesty, integrity & persistence. I am truly blessed beyond belief. 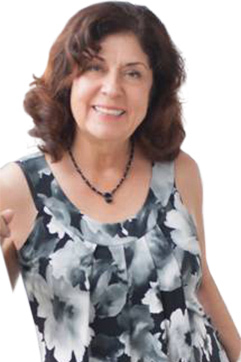 I believe wholeheartedly I am uniquely qualified to assist you in whatever real estate activities you may have, from buying or selling your next house to leasing your next home. I understand the principle that People don't care how much you know until they know how much you care. Let me serve you. Susan was born and raised in the Texas Panhandle. She moved to New Braunfels in 2008. Her love for the Hill Country is reflected through volunteering in the community, being active with her church, golfing, and of course, the awesome Texas music. 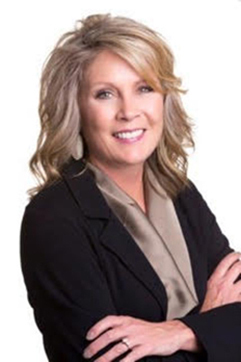 Susan brings her 11 years of experience as a professional REALTOR® to new levels when serving the clients of New Braunfels as her first priority when meeting a new client is finding out how she can best help them. The insight she gains from actively listening helps her accurately address their wants and needs. A true “people person”, Susan’s belief is that knowledge of today’s market leads to good decisions. When clients know what to expect at each step along the way, it makes the entire transaction more enjoyable. Whether buying, selling or leasing, her goal is to earn your confidence and respect for a rewarding relationship to help meet your goals. Derrick & Angie About me. 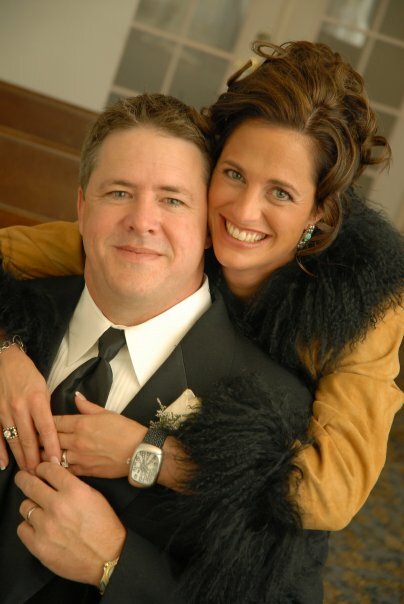 Derrick and Angie Flack are a unique team that have over 20 years experience in helping customers with their homes. They have many resources and have created cutting edge ideas within the housing and home industry. We have now expanded into the real estate market creating “The Flack Realty Group” under Kustom Real Estate out of New Braunfels. From listing your current home to finding a new one we will be happy to serve you and save you time and money. This partnership will offer staging opportunities and design assistance, with access to furniture and accessories available from Dianne Flack Furniture. They can sell your home in a unique way by exposing their listings to a retail customer base with a direct interest in everything "HOME" in addition to all the most advanced tech savvy advertising methods of traditional realty companies. Angie Flack is an Ohio native and have been in Texas for 18 years now. I have been in sales and marketing for many years as well as in the Agriculture industry. I grew up on a large grain farm in Northwest Ohio and moved to Abilene, Texas to work on a show cattle ranch. The Ohio State University is where I began my degree in Agriculture and I graduated from Texas State. My decision to sell real estate was an easy one. Culminating my experience in sales and people skills along with the love of this area made it a great fit. I am a mom to Jhett who is 7 and I have two stepsons, Brodie 18 and Peyton 16. We are a family that loves God, riding horses, and sports of all kinds. We are also active in the Mission fields from South America to Africa. My husband, Derrick Flack, has been a Hill Country native his whole life. He went to Texas Tech with a degree in BA-Marketing. His family and him have owned Dianne Flack Furniture for over 50 years now. He also started and owned Cowboy Style Furniture in San Marcos till a tornado blew it away…..literally. "Kassi is a wonderful agent. Kassi listed our home & had a signed contract within one week. There were numerous things that came up with the sale, including issues with the house itself and the loan process. Kassi worked diligently with the seller, buyer, lender, surveyor, inspector, attorney & title company to get EVERYTHING worked out. She always kept us informed of what was happening, even if it meant giving us the 'bad' news. I really appreciated that she would always keep us up to date. Kassi went above and beyond her responsibility as a Realtor® in helping get this transaction closed. She was a pleasure to work with and I will most definitely recommend her when given the opportunity." "We have done several real estate transactions with Kassi, you won't find better in New Braunfels! She truly is the best out there!!!" "Unbelievable communication from contract to close. Very professional! Not the typical or stereotype experience here!"